Paleontologists typically deal more with bones than with the icky fleshy bits, but accurate reconstruction of their morphology and ecology is impossible if you know nothing about anatomy of the gross bits too. 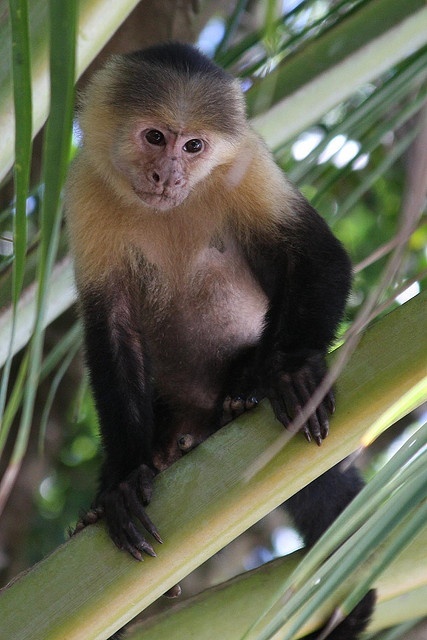 Amy took Primate Anatomy this fall and dissected a capuchin monkey (Genus: Cebus) over the course of 15 weeks with her lab partner Katie. 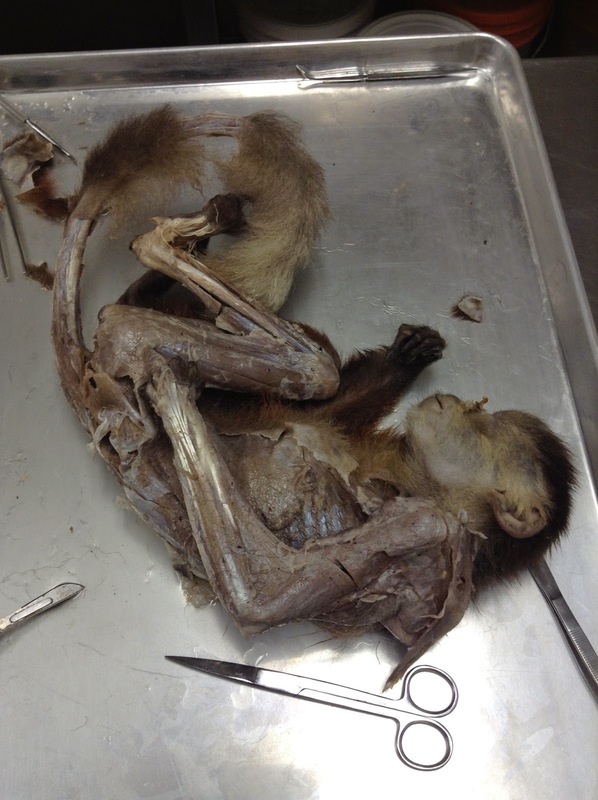 Amy is now very assured that her future is in fossilized bones and not dissecting monkey boners, but she also learned a lot and is now going to share all that with you, including many different gag-worthy photos (turns out monkey dissections are the creepiest dissections). So fair warning: MOST OF THESE PHOTOS ARE SUPER DUPER GROSS BUT ALSO REALLY COOL. of the sheen of her muscles. The monkeys for the class were collected from various zoos and/or primate research facilities and had been in storage (giant walk-in freezer) for varying amounts of time and were therefore not so pretty. 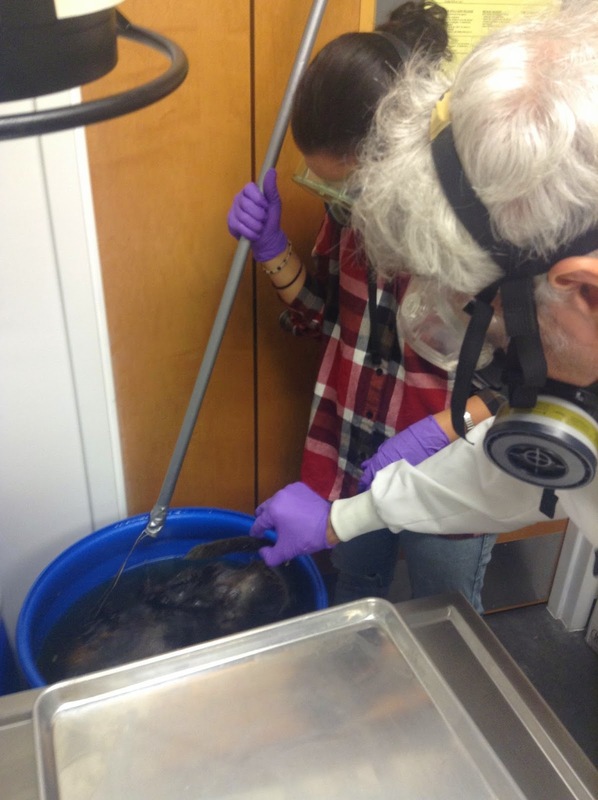 The specimens had to be stored in formalin, a weaker solution of formaldehyde in water, which preserved the monkeys throughout the course. Because of the formalin, which is carcinogenic, we had to wear respirator masks and plastic goggles and frequently our eyes would burn and run from the chemicals. 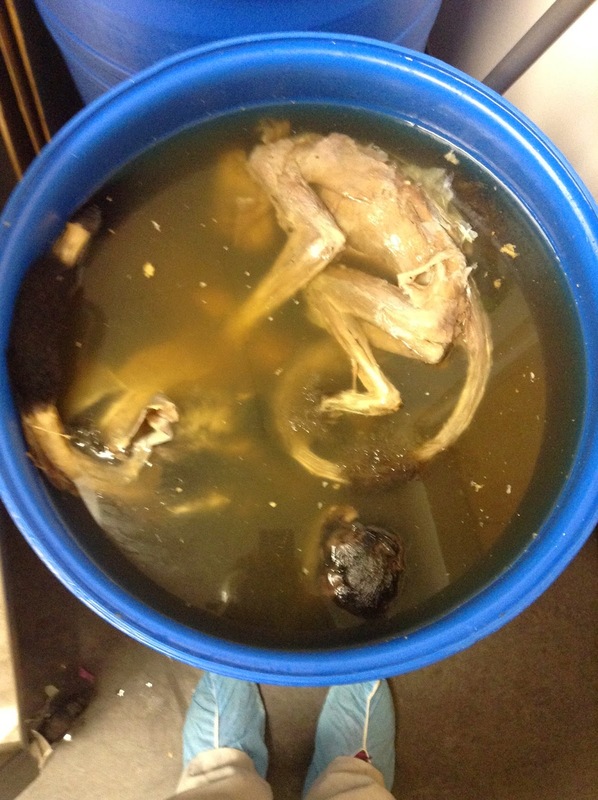 We stored the monkeys in a giant 50 gallon barrel. Take that picture in for a second: a literal barrel of monkeys. Even better, we had to fish them out each day. We are classy, so we used a wire hanger duct-taped to a broom handle for this task. 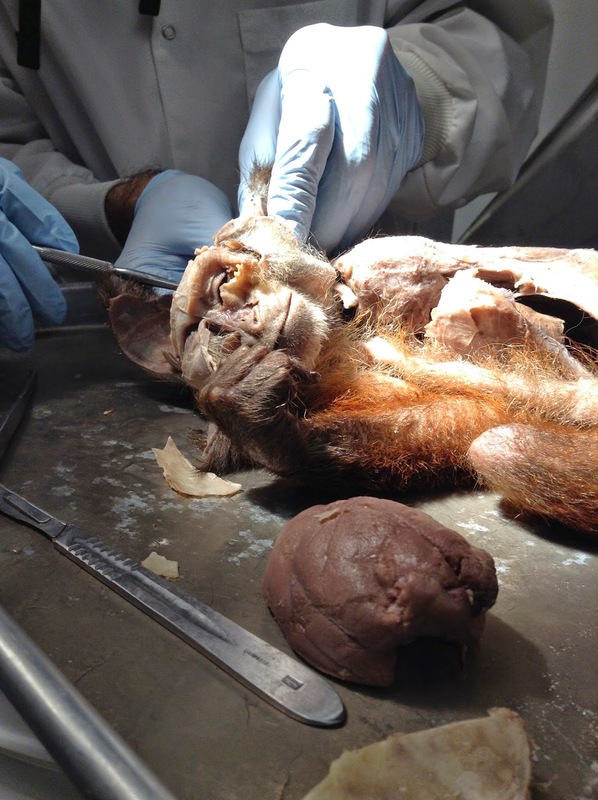 Part of the class included creating an anatomy atlas of the monkey using all of the pictures taken of the dissection. This has provided for some disturbing content on Amy's computer and ipod and now she would like to share that horror with the rest of the world. Sit back, relax, and enjoy this magic school bus ride through the flesh of Opal the monkey. If you can get through these presentations without gagging/losing your lunch, consider yourself well prepared for a job in the medical industry. There you go, over 300 hundred dead monkey pictures. Now you have a glimpse into anatomy class and aren't you excited to dissect a human next?! Want more dead monkey pictures? Or maybe some other awesome science things that don't involve organs? Follow us on Facebook or Twitter, or Instagram!